Not sure about the flower motif. This flower detail makes this jacket special! 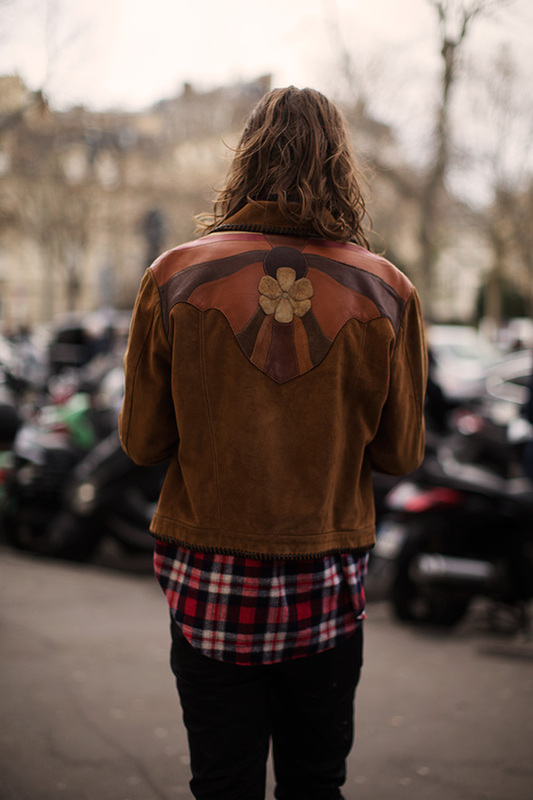 Really nice jacket. Where did You buy it? All I see is greasy hair. (not strictly true, before I am accused of being one-dimensional!). Um… Not sure why I don’t like this. It is hippie ish but I like that it has an interesting take on masculinity, so that’s not it. The jacket itself is obviously of a high quality, so that’s not it. It’ll probably show up on Marc Jacobs runways again, or else be reinvented on comme garçon. I just don’t get it.